Earlier this week, the National Transportation Safety Board (NTSB) proposed a new measure that would have all states make it illegal to use a cell phone behind the wheel, according to The News-Press. This proposal came after a meeting where officials discussed an accident that happened in Gray Summit, Missouri, in 2010 in which a cell phone-using driver made calls and text messages just seconds before allegedly causing an accident that killed two and injured nearly 40 others. 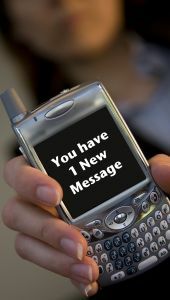 Currently, there are no laws in the state of Florida that regulate the use of a cell phone or text message devices for drivers, according to the Governors Highway Safety Association. In 2010, there were roughly 3,100 people who died in distraction-related car accidents, including car accidents in Fort Myers and elsewhere. Officials believe that number could be much higher because of all of the unreported incidents. Our Fort Myers car accident lawyers understand that bills were already filed by a House Democrat and a Senate Republican to make it illegal for drivers under the age of 18 to talk on a cell phone while driving. A third bill from Republicans in both chambers is aiming to make texting behind the wheel illegal for all drivers. Florida is one of the only states left that has yet to enact such laws to regulate these behaviors for drivers. In other states, drivers are allowed to talk on the phone but are not allowed to text while driving. Enforcement of these laws is oftentimes difficult because an officer is unable to tell if a driver was making a call (which isn’t always illegal) or text messaging (which is illegal in 35 states). A nationwide ban on these activities would make enforcement much easier and would help to make our roadways safer. “According to the National Safety Council, drivers using cell phones look but fail to see up to 50 percent of the information in their driving environment,” said the NTSB. -Make it illegal for drivers to use portable electronic devices, except during emergencies. -Replicate the National Highway Traffic Safety Administration’s (NHTSA) high visibility enforcement model to enforce these laws. -Create campaigns to help to inform residents of the new laws and of the increased enforcement efforts to support these laws. Included in these campaigns should also be information regarding the risks, dangers and consequences that are accompanied by the use of portable electronic devices behind the wheel. The NTSB isn’t the only one pushing for these new laws either. The National Safety Council (NSC) recently commended the NTSB for its efforts to make roadways nationwide safer for everyone. The NSC predicts that nearly 1.5 million crashes, or nearly 25 percent of all accidents, involve a driver who is distracted by a cell phone. Associates and Bruce L. Scheiner, Attorneys for the Injured, has spent four decades fighting for the rights of traffic accident victims throughout South Florida. If you or or a loved one has been involved in an auto accident, call for a free and confidential consultation to discuss your rights. 1-800-283-2900.